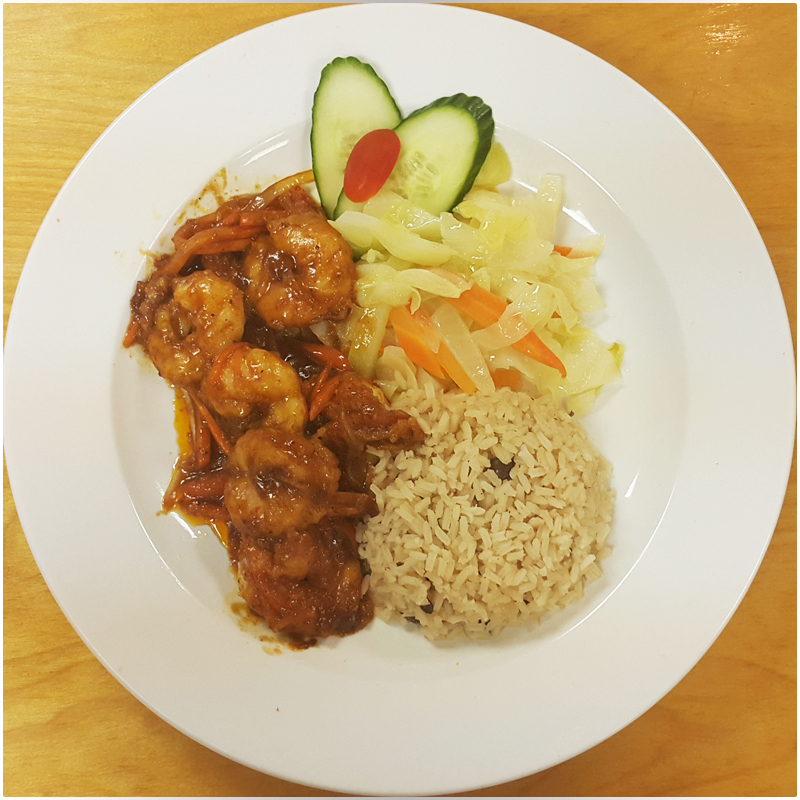 Tender juicy shrimp fried in our famous jerk mouth watering sauce. Served with steamed vegetables, and white rice. Tender shrimp, marinaded in our famous sweet, savory jerk sauce.